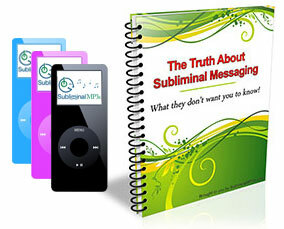 Develop a positive body image and start feeling good in your skin with this subliminal mp3 album. Do you hate your body, or specific parts of it? Do you have trouble accepting compliments, thinking they're false? Do you constantly compare your look with what the others look like, and always conclude that they look much better than you? Do you constantly question how you look in different outfits? Would you like a way to naturally change that? To feel beautiful and special, perfectly OK in your body? Do you know what's the most attractive aspect of any man or woman? It's not their smile or their waistline - it's that something they carry inside, the feeling of comfort with who they are. We are attracted to them because we want to be like them, to feel good in our skin, and to show it. The secret these people know is that they're okay just as they are, they feel good about the way their bodies look and function. These people have a healthy body image. And you? A body image is the way we perceive our own body. It has nothing to do with the way others see us - someone who has a body of a supermodel can still think it's ugly and ungainly. That's what a healthy body image is not. Someone with a healthy body image will like the way their body looks and feels, even when others don't. What causes the negative body image is the nonacceptance of who we are. When we accept ourselves and who we are - it doesn't mean that we will think we're perfect, it just means that we won't hate ourselves unless we make some drastic changes to our bodies. In order to accept your body as it is you need to reprogram your mind and to change that negative and frustrating image that you have about it, and that's how this subliminal album can help: it sends just the right suggestions to your subconscious, so that you can start being outgoing and confident about your body. Recognize that your body and your size are okay. By changing your self-talk from the place where it's made you can change the way you view your body; you will understand that your weight or the looks of a part of your body is not a measure of your self-worth, and accepting this fact you will gain new freedom to actually feel good about yourself. Start working with, not against your body. You will be driven to implement the principles of a safe and effective eating and exercise program which will help your body get in better shape, instead of destroying it with fast diets and crazy workouts. You will stop wanting to look like someone else and start working on becoming the best version of yourself. You'll stop waiting for your life to happen to you and start living it. No more putting your life on hold until you become thinner, more muscular, change your nose... You will be free to enjoy life now, when it happens: with the weight of negative body image off your shoulders you'll be more confident and outgoing, more open to the opportunities and small everyday life pleasures. Body image is all down to the individual, and people with a positive body image are most often happy and confident, and worrying about their body all the time doesn't come into it. With the help of this unique album you can rewire your mind to work in the same way - so gain some body confidence today, there's no reason to wait!